1 YRS Shanghai Chengtong International Co., Ltd.
, Ltd is a subsidiary of the state-owned China Chengtong International Co. We try our best to meet the expectation of clients by adhering to excellent services, good faith and mutual benefits. Q: How long is your delivery time9 A: Generally it is within 15 to 90 days. it is also used for production of strands for prestressed concrete and prestressed reinforcement. We have our own factory, that is, Tangshan Fengrun Jinhang Steel Co., Ltd. The factory is located in Tangshan, covering an area of about 50 mu. 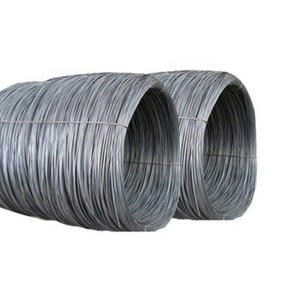 6mm hot rolled low carbon steel wire coil steel wire rod 1.Grade:Q2355,Q195.SAE1006,SAE1008 2.Size:0.2mm-14mm 3.Application, making nails , custruction,industries, Free cutting wire, Drawing steel wire etc. I will go through any question with you and I will repaly you within 24 hours at your convenient time. :2923578862 Email :809 at shunyunsteel . 3. The shape and specification can be made by customer's requirement. 5. Attractive in appearance and reasonable designs. we sincerely hope we can establish a long business relationship. 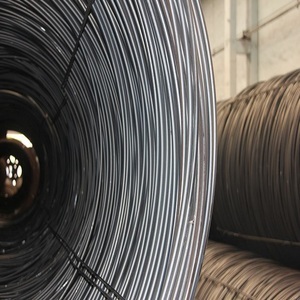 Totaly,the iron making capacity is 2.9 million tons,the steel making capacity is 2.85 million tons and the steel product capacity is 2.8 million tons. Annual consumption of iron-containing raw materials is about 600 million tons and fuel about 250 million tons. 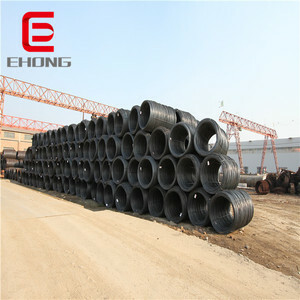 The company owns production licenses of deformed bar,wire rod,hot rolled steel round bar,and forged steel round bar. 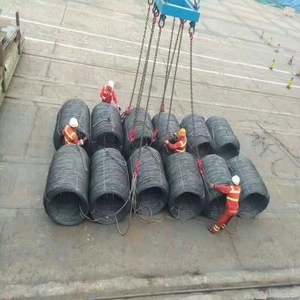 Some pictures of low carbon steel wire rod 14 mm hot sale in southeast area Our Company : Hebei Tangshan Dahao Trade Co. Our main products include:Angle steel, Channel steel, I beam, H beam, Welding pipe, steel rebar and wire rod etc. We have the self-supported imported and exported right ,and our products exported to middle-east,south-east Asia and and African countries . 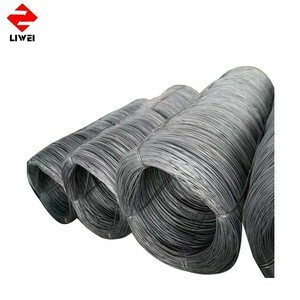 Alibaba.com offers 6,917 low carbon steel wire rod products. 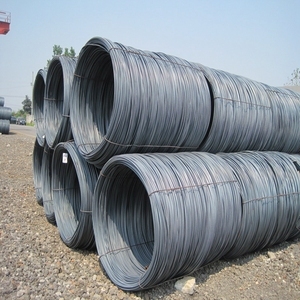 About 45% of these are steel wire, 15% are iron wire, and 3% are steel rebars. A wide variety of low carbon steel wire rod options are available to you, such as aisi, astm, and gb. You can also choose from drawn wire, galvanized, and spring. As well as from construction, manufacturing, and rope. And whether low carbon steel wire rod is free cutting steel, or cold heading steel. There are 6,917 low carbon steel wire rod suppliers, mainly located in Asia. 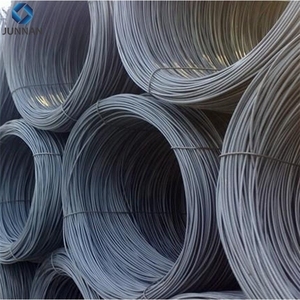 The top supplying country is China (Mainland), which supply 100% of low carbon steel wire rod respectively. 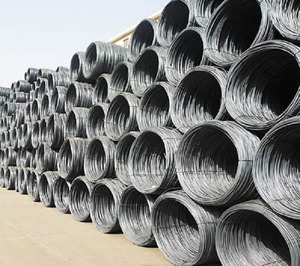 Low carbon steel wire rod products are most popular in Southeast Asia, Mid East, and Africa. You can ensure product safety by selecting from certified suppliers, including 2,110 with ISO9001, 1,203 with Other, and 266 with GSV certification.